Roughly two months after rising water inundated several neighborhoods and cars in San Jose, Tuesday marks the deadline to request financial assistance. Kris Sanchez reports. Roughly two months after rising water inundated several neighborhoods and cars in San Jose, the deadline to request financial assistance has arrived. In order to receive public assistance from the state of California, public agencies, local businesses, nonprofits and homeowners must file paperwork with the state by Tuesday in order to qualify for federal low interest loans designed for flood relief sustained between Feb. 1 and Feb. 23. Homeowners can request up to $200,000 to repair and replace their buildings, according to the Small Business Administration. Along with homeowners, renters can also petition for up to $40,000 to replace personal property waterlogged or destroyed by the flood waters. Local government agencies and nonprofits can ask for up to $2 million in low interest loans to help them replace tools and resources that were utilized in the days and weeks following the flooding, according to the Small Business Administration. Interest rates for the loans will range anywhere from 1.875 to 3.15 percent with terms up to 30 years, according to the Small Business Administration. The rates vary for business owners, nonprofits and homeowners. 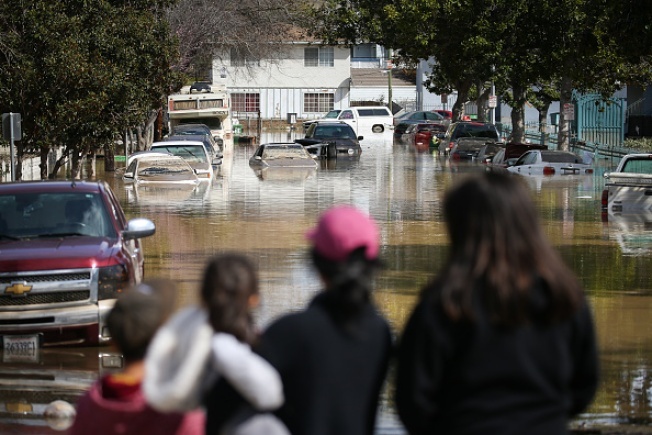 To this date, the Small Business Administration has approved more than $6 million in disaster relief for victims of the San Jose floods and others victimized by a soaking wet winter across the state. The Small Business Administration announced that its San Jose Disaster Loan Outreach Center will be closing its doors Friday. Those wishing to apply for financial assistance can visit the Small Business Administration's website.